Kickstart Your Fitness with This Simple Tactic - Interval Training | Valet. High-intensity sprinting can burn up to 13.5 calories a minute, and can potentially double your metabolic rate following exercise (even after just a few minutes of interval training). A recent study found that a single sprint session can increase post-exercise fat oxidation by 75%. Which means that you'll keep your body in fat-burning mode long after you're done exercising. A few sprinting sessions will obviously take less time than your typical cardio, but it's actually just as beneficial as much longer workouts. Sprinting three times a week (4-6 times per session) was found to be just as good for you and deliver the same results as spending five days a week cycling for 40-60 minutes. 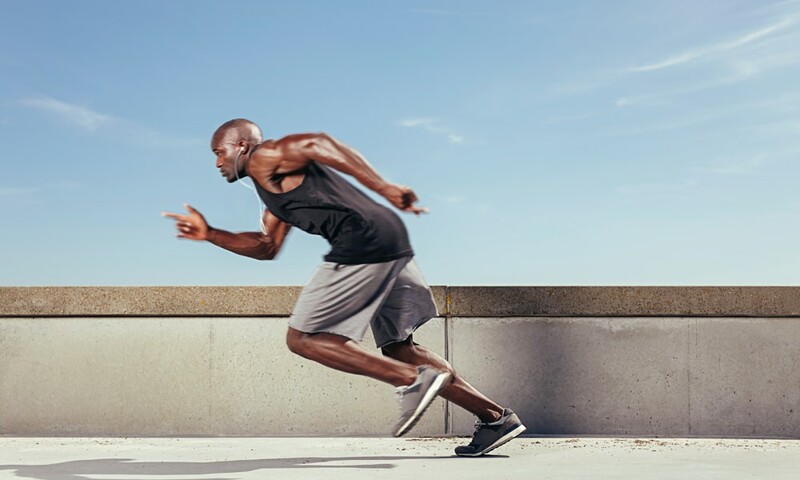 Low-Intensity, slow cardio is often blamed for destroying strength gains, but bouts of ferocious high-intensity sprints have been proven to increase lean muscle mass. It's also beneficial in terms of sculpting your trunk and reducing unwanted belly fat. In fact, the same study found that "waist circumference was significantly decreased" in just six weeks. Developed in the '70's for Japanese Olympians, the Tabata interval is a classic that trainers still swear by today. It consists of eight rounds of 20 seconds of all-out work broken by 10-second rest intervals. Do the four-minute workout twice a week, in addition to strength training. It can be done on a bike, the stairs, on a rowing machine or by running sprints—but remember to push yourself at full speed to get the maximum benefits of interval training. It's intense, sure, but it's only four minutes. No matter how good you think you are at counting one-Mississippi-style, your brain gets fuzzy with this kind of intensity.